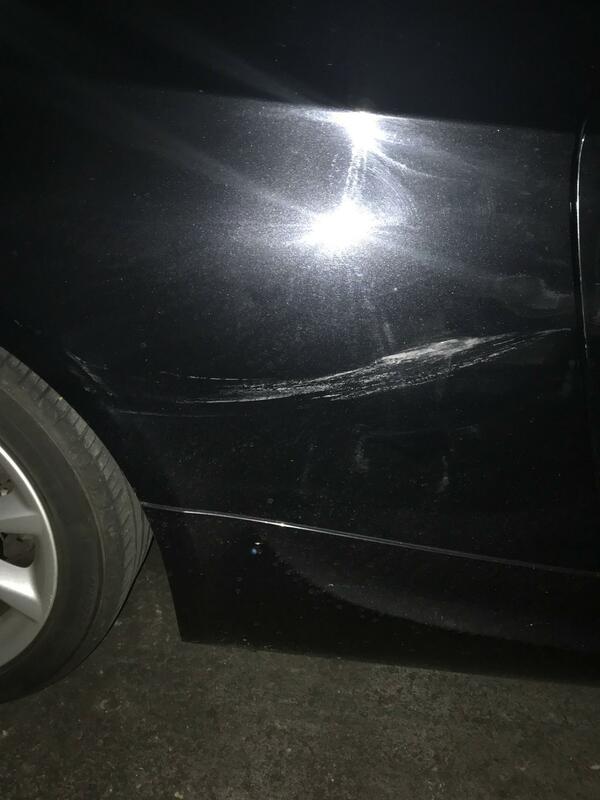 How do i fix this scratch ? Hi everyone. Last week after the class i was going to my car and found it like this. I don’t know what to call so i’m gunna call it a scratch but it’s more of like thick paint transfer. I tried few things body compound wd40 but still remained same. I don’t wanna sand it down since i’m not a pro and don’t wanna mess it up but if you guys have any idea or maybe i did it in the wrong way idk. It’s catching my finger when i go over it but like i said not going inward, it’s actually outward. So if you guys have any idea how to solve it please let me know. Thanks. 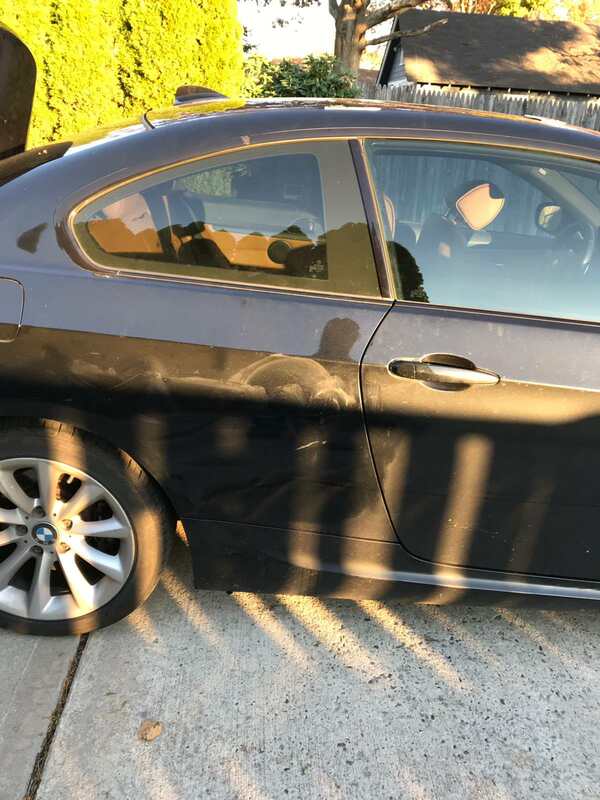 Op...is it possible it’s some kind of glue or tree sap that was transferred onto your car? You said it feels raised. If so try “shoe goo” remover. I’ve used it to take off weird unidentifiable marks on my car. Works great won’t harm paint. I live in long island. Just 10 minutes ago i was trying 3m rubbing compound and megs wax apparently didn’t do anything but now the outer feeling replaced with smooth inner feeling i really didn’t get it. Where can i find that shoe goo byw ? where are you in LI? I am in Queens NY , I know detailing work I might be able to help you. Walmart, Target, or any Hardware store. Possibly even Walgreens or CVS. Def check the wallmart first thing in the morning. Not shoe goo, that's glue for shoes. I think he meant "goo gone". If it really is paint transfer, brake cleaner will take that right off. I thought about it a lot and finally decided to use sand paper and bought a 3M 5000 grit ( just wanted to make sure i'm not messing up anything lol) I wet sanded the scratched area only not the undamaged side and literally just wiped it off. So most of the part was a paint transfer but when i tried with the wd40 it did not come off. After i done with sanding i didn't even have to paste wax it but i did it anyway and boom that's the final result. 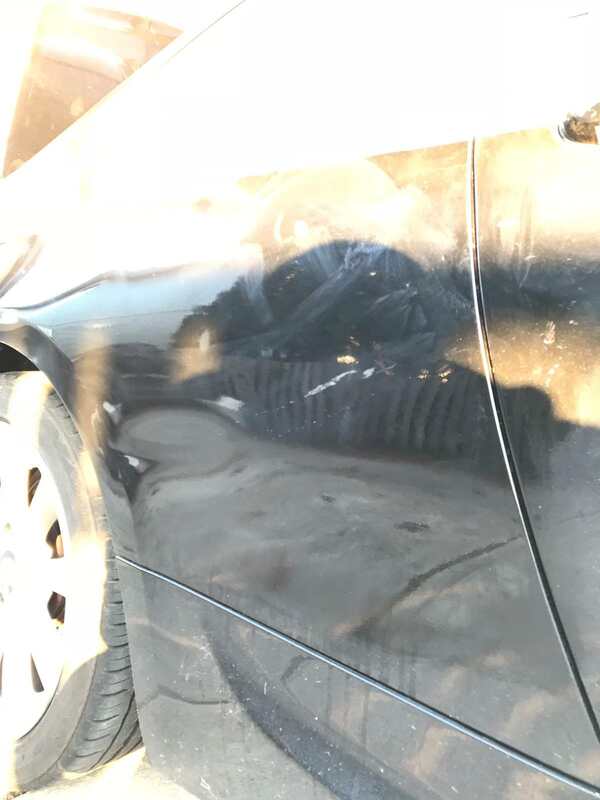 All those little dots and the white spot it's an actual scratch but i'm not worried about that cuz i'm gunna wrap the car and test it out with a little piece of vinyl it's showing over the wrap so i'm good to go thank you guys for your help, i appreciate it ! Looks like you have some pretty bad orange peel there. I tried dude it was bonded so strong somehow that didn’t work. Everywhere. Post # 13, bottom picture. 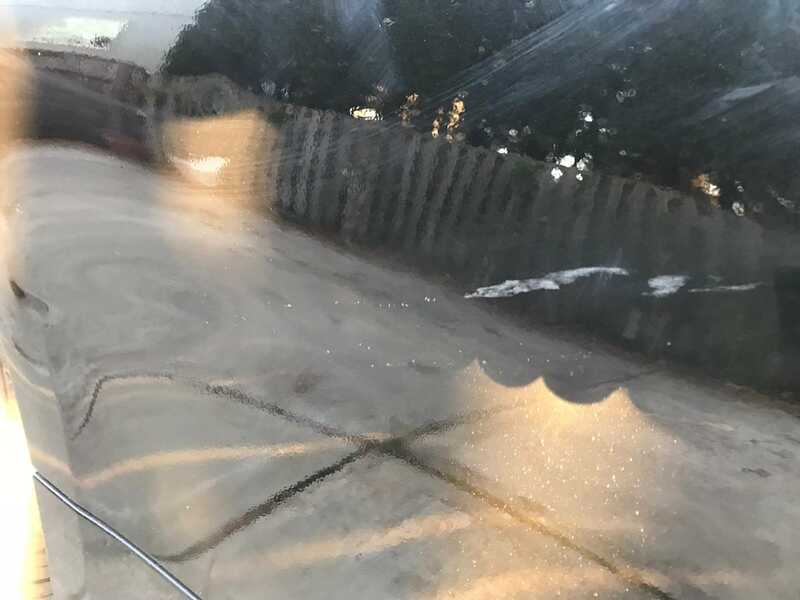 Look at the reflection of the "black X" in the clear coat on your car. Notice how the reflection isn't smooth and looks like football/basket ball leather....or an orange peel? Car is wrapped now and nothing from that damaged are shows through the wrap i’ll get a closer oic when i’m out of work. Oh. I never noticed that actually. I’m gunna do some repairs on the wrap like rewrapping the whole quarter panel. I’ll take a closer look then. Thanks. Yeah man. Don't get too crazy with it. A lot of cars have it. Mine was really bad when I bought it. Lots of late nights wet sanding. Not sure if laying down vinyl over it would cover it as this is something I've never done. I would imagine that it may cover it but it also may simply create the same effect in the vinyl. Regardless good on you for getting the scuff mark out!